I think one of the most discouraging things for the average Christian to face is trying to figure out which theological system is right or which theologian is right. We are often bewildered as to how such great scholars can come up with so many different interpretations. This at times can be almost paralyzing as we watch these titans of the faith do battle over the meaning of words and doctrines while the rest of us stand on the sidelines waiting for the dust to settle, which it never does. Then we observe people who have little or no theological training who love the Lord supremely, obey Him consistently, draw deeply from His word, sacrifice joyfully, witness boldly, pray fervently and worship passionately. How can this be? I recently returned from a trip to the Amazon where I had the great privilege to meet with a tribe that had just been reached with the gospel. There we were, standing in the midst of the great Brazilian jungle witnessing what I like to call THE ORGANIC GOSPEL, with no doctrinal preservatives added. These people had known the Lord for just four months. They had no bibles, no theological system they were following, no knowledge of doctrine, yet seemed to have a great grasp of the basic fundamentals of the Christian life. I was a bit skeptical until I heard some of their testimonies. This was a very small tribe, but their hope in the Lord dwarfed what I see in our western culture. One woman stepped forward and said she used to be angry and hard to get along with but now that she has been forgiven of her sins by Jesus, her anger no longer has a grip on her. Another stepped up and said, “I used to curse my children but now I bless them.” While yet another said she knew in her heart that something was not right when she heard that Jesus had come to set her free from her sin. She is now at peace, even though life is very hard. So here are five things I learned from this tribe that I never knew about the gospel. The simple gospel taught them how to pray. Since God is a personal God then praying to Him seems only normal now that they are believers. They prayed for us before we left. It was beautiful and full of hope. The simple gospel taught them how to walk by faith. They were trusting God for their daily provisions, and if you could see the conditions these people live in, you would understand how faith was essential to their daily walk. The simple gospel taught them how to worship. They asked if we would teach them some songs so they could praise God in greater ways. We sang together under the shade of heavy vines draped over the limbs of giant trees drawing up water from a nearby swamp. The simple gospel taught them how to witness. They had a desire to reach other tribes with this message. The simple gospel taught them to seek forgiveness from one another. This was the clincher for me. One woman said, “Since Jesus forgave us we have decided as a tribe that if we ever offend one another in word or deed, we will go to that person and ask forgiveness.” I taught on this for years. Most of us in the west tell those we have offended, “I’m sorry,” or “I apologize,” but few will look the offended party in the eye and say, “Will you forgive me for what I have done?” That is what these people practice. Some of you might be saying to yourself, “I have always known that the gospel alone could do this.” Let me challenge you on that thought. Why is it that the western church has to have endless books on how to worship, how to witness, how to pray, how to walk by faith, or how to forgive? Why do we have countless seminars on these subjects? But let’s ask an even harder question. Are we living these out with all of our theological knowledge? Perhaps this is getting a little uncomfortable. As I looked at these people I couldn’t help but think, “This is not a tribe, but a church – and a pretty mature one at that.” Do you know of a church in the U.S. that practices these disciplines? These people had no pastor, no creeds, no statement of faith, no theological system, no eschatological date for our Lord’s return, no worship center, and no prayer room. All they had was the ORGANIC GOSPEL. Now before you write me off as one of those pastors that says, “Let’s get rid of doctrine and just love Jesus,” hear me out. I love good doctrine and have taught it for many years. After all, I pastor a Bible church. The purpose of good doctrine is to protect the gospel from cults, new age philosophies, and health & wealth theology (which, in fact, is no theology). 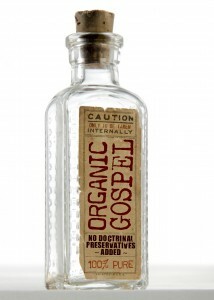 Doctrine is highlighted when the gospel is attacked. Great theologians rise up as they should. Creeds and confessions are written. Books on systematic theology spring up. All this can be good, but it can also bury the ORGANIC GOSPEL. When theology is worshiped in place of the One it directs us to, then we are in serious trouble. The résumé of a person is not the person. It simply describes the person, albeit in a very limited way. No matter how much doctrine we compile, God will never be adequately explained by any group of people or any system of theology. So let’s remove our pride and learn from the tribe. You can watch or listen to Pastor Mike’s account of this trip to the Amazon here. We have had an awesome last couple days. We spent 2 days running a summer camp for the kids at the children’s home. Tuesday evening we did another street meeting and went to see the huge sea turtles! We even got to see baby turtles hatching! Wednesday we did our second day of summer camp and left for the team debrief in Port of Spain. Last night we heard from Ronnie and Meela. Today we spent the day on a boat swimming and fishing. Then we returned to the church for a farewell dinner with the church (A very touching experience). We will give you much more detail when we see you late on Saturday. Our flight is scheduled to land at Dulles at 11:20 pm. We are planning on students being picked up at the airport. Thank you for all your prayers! God has definitely answered them and many more. On Day 8 (Sat), we went to Toco Beach, ate Fish Broth which is a stew that they cooked using a propane tank right on the beach, played football, and climbed trees. On Day 9 (Sun), we went to an Evangelical church that Bob had helped out when he came here last with an RBC missions team, Ryan and Dan spoke, Emily gave her testimony and then we repeated our “package” at Hope Community Church at 5:45 pm and Joseph gave his testimony. We finished out the night having some fun with our Trini friends, especially our awesome maxi taxi driver Dale (last picture with Dan). DAY 8: Well, it was bound to happen. We got roasted. The team spent much of our day Saturday on Toco beach. It was the most beautiful beach I have ever seen. I think at times we all felt like somehow we had been placed into a post card. We spent our day running around having fun, spending some time with the local Trinis we have come to know and love, some who we are growing beside and some who we are witnessing to, and just praising God for his beautiful creation. After our time on the beach we stopped briefly at a lighthouse that was unlike anything we had ever witnessed before. Beyond a small beaten path we found enormous boulders and cliffs that at this moment I struggle to even describe. Aggressive waves plummeted toward us, crashed onto the walls of the cliff we sat on and flew up upon us in the form of this delicate mist. God is so beautiful. We went back to the Heerah’s house to find an abundance of awkward tan lines and crazy sun burns. I have never felt so white before in my life. After changing and showering, we headed back to Hope Community Church to lead a parent/teen event. There, we were given the opportunity to meet with community members and discuss with them what the Bible says about what a parent-teen relationship should look like. Courtney shared her testimony with the ladies and Bob spoke for the men. The turn out was certainly smaller than other events we have hosted, but we praise God for the intimacy that comes with that. beside them that day. The worship they provided for us was beautiful and motivating. I was so encouraged to witness such a lively congregation. After their worship, our group sang a few songs, performed “In the Light,” and spoke before them. Emily Mooney shared her testimony from the pulpit in a way that genuinely seemed to capture the hearts of her audience. After Emily, Bob Shull, Ryan Swisher, and Daniel Shull tag-teamed a sermon, which was absolutely saturated in wisdom and in truth. It was encouraging to see our men step up to the plate into such a role of leadership. Not a single person, Trini or otherwise, left the building uninspired. After the church service, we were given lunch as a team as well as some awesome “meet and greet” time, where we were able to really speak with any church member that was willing to share with us. Little girls in dresses played hide-and-go-seek with our members and little boys played “ninja” while everyone else seemed immersed in conversations varying from the basics of getting to know each other, and deep discussion over what we all believed God was at work doing. After lunch, we met back at the Heerah’s house for a bit of liming, encouraging, and team time. Our time was good and reviving, but not long lived because we were soon off to Hope Community Church to prepare for the evening service ahead of us. As always, many songs were sung, and as strange as it is to stand on a stage and sing worship songs at a congregation, it is incredibly rewarding to see how the congregation began to worship along with us. Even witnessing one person worship with a heart full of adoration for God is enough encouragement to uplift us all. After worship, “Silence” was performed, and Joseph Choi gave a heart-felt testimony. We then all dispersed between the adult service and many children’s classrooms to teach Sunday school. Everywhere the team served was blessed. Our evening ended on a high note when we ate a late dinner with the community around us and simply spent some time in fellowship. The love we have developed for one another, within the team and within the community, never ceases to amaze me. Please pray for our ministry at the Bridge of Hope Kids Camp. We will be hanging out with 45 kids and will need lots of energy and enthusiasm. spending the rest of the evening dining with the locals in Vega getting to know them, sharing with them, and never ceasing to pray for them. DAY 7: Today was a day that we have long been anticipating. We have been advertising an upcoming free car wash to the locals since we arrived here and finally, today was the day. Every person had their job, be it washing, waxing, rinsing, or absurdly jumping and screaming “free car wash” to cars that passed by. All morning we worked with strange flows of one or two cars at a time or tons all at once. The single commonality between every person we saw, whether or not they agreed to get their car washed, was that none understood why anyone would give up their time to serve the community with no strings attached. Most did not understood why some American kids would give up their summer to serve. God truly seemed to make an impression on the people we came across. After the car wash we had a late lunch of…wait for it… pizza! Granted, pizza here is certainly different from back in the states, but either way it was pretty great to have a taste of America again. We spent our evening at Hope Community Church running an outreach that we called the “Minute to Win it Youth Rally.” It was fun to see a mixture of new and old faces showing up knowing nothing of what the night would hold. We started off the night by splitting into groups led by each of the RBC team members, who each shared a condensed version of our testimonies as well as attempted to get to know the Trinidadians on at least a basic level. Daniel Shull emceedthe evening, keeping the event full of fun and excitement by running the games and interacting with the Trinidadians. They all adore him. For the first time the skit “Silence” was performed, and Joshua Johnstone shared the gospel. I am thrilled to write to you that five hands were raised in indication of accepting Christ when Bob ended the event in prayer. And just like anything in Trinidad, the evening ended in “Trini” time. We had no real schedule for the end of the evening, so we all just “limed” (hung out) playing games and conversing with everyone we could. It was, most certainly, a successful event that was full of truth and love. Please continue to pray that we help represent the church in this area and ultimately our God in ways that encourage the community. DAY 5: The beautiful thing about being a part of the kingdom of God is that any risk we take is not really a risk at all. No matter what the outcome of our actions, as long as we are following His will, God is in control no matter what. It was a blessing and a privilege to be a part of the risk and the will of Christ on this day. We started off the day with every intention of returning to our work project, but God clearly had different plans for us considering He sent heavy rains upon us all morning. We took the time he gave us to dig deep into his word and explore the internal fruit that comes from within a missions team; a fruit that is rarely the cause of a mission trip but its outcome is just as vital as any outward work being done. After some great Bible time, all the while waiting to see what the rain would do, a plan B was created. The weather lightened up enough to be outside but was still too damp to do the painting we had originally hoped to do, thus we went into Sangre Grande with gospel-oriented surveys and spent most of the afternoon sharing with locals about the life-altering love of Christ. It is difficult to sum up an afternoon like that, because every individual had such a different experience, but I can tell you that despite the differences between our conversations, Christ was a clear part of every one of them. It does not cease to amaze me the way that the culture here allows us to openly evangelize in a way that would never be so well-accepted back in the states. After lunch and more surveys the team got ready for an evening of hard-core evangelism. A friend of the Heerah’s graciously allowed our team to put on a program in front of their store in Sangre Grande so that we could share the gospel to the streets of Trinidad. Crowds gathered from across the street in front of stores, in front of our space on the side walk, and packed around the area that we performed, all curious to see what the crazy Americans in matching yellow shirts were going to do. The crowds were not massive, but they were consistent and we considered ourselves blessed to have any listening ears at all. For the first segment of our program the team sang two worships songs together, Hope Ruffner shared her testimony, and the skit “Decision Time” was performed. After about a half hour of talking to the listeners on the street, getting responses, and handing out tracts, we started all over again. This time the team sang two different worships songs; John Shull shared his testimony (beautifully, I may add), and the skit “King of Hearts” was performed. An eloquent, but ultimately welcoming and clear presentation of the gospel by Ronnie Heerah followed both segments. Naturally, we did hit some bumps in the road, but every one of them was extraordinarily handled. For example, when drunk and mentally unwell men showed up hoping to become best buds with some of us, the men on our team (leaders and students) swung into super-protection mode making sure that every person felt completely safe the entire evening. One drunken man yelled that he was “vexed” at one of our college leaders because he would not allow the man to marry one of our team members. It was honestly hilarious and handled in a way that allowed us to laugh rather than feel uncomfortable or unsafe. I could not, and I think I speak well for all of the girls here, ask for a better group of guys to protect us and work beside us. Our time on the streets today was really incredible. We saw a huge interest and spoke some real truth to many people we had never met and may never see again. God was in every detail, every word, and every moment calming and guiding hearts. We left Sangre Grande with joy in our hearts and a thirst to seek more opportunities to share in the same way that we had this evening. We have tasted and we have seen that God is good. WHAT IS A SHORT TERM MISSION TEAM? 1. To assist and bless a missionary that RBC supports currently. 2. To introduce RBC attendees to mission work first hand. 3. To educate the RBC congregation about missions. HOW ARE SHORT TERM MISSION TEAMS FUNDED? Short Term Mission Teams are primarily funded by the individuals who make up the team. If there are individuals who cannot fund their portion of the team cost, the Missions committee will consider their shortage. The Missions Committee also considers material costs the team may have in areas such as printed materials, construction materials etc. HOW ARE SHORT TERM MISSION TEAMS FORMED? Most teams are developed out of a desire of a someone in the congregation to meet a need they see in a particular ministry or from a gift that person may have such as evangelism or working with children etc. All team proposals must first go through the Missions Committee for approval and if the Missions Committee approves the team then it goes to the Council of Elders for final approval. All teams have a team leader who is responsible for the team’s organization, administration and oversight. RBC has a policy that you must be 16 years old to be on a team unless you have a parent on the team with you and the team leader approves of the youth (Youth ministry teams are the exception to this rule). WHAT IS THE NORTHERN VIRGINIA MISSIONS CONSORTIUM? The NOVA Missions Consortium is a consortium of five local churches – Reston Bible Church, Chantilly Bible Church, Immanuel Bible Church, Cherrydale Baptist Church and Grace Bible Church – whose goal is to cooperatively help missionaries from these five churches get to the field more quickly. Each year, one of the five churches is allowed to put a missionary from their congregation before the consortium for potential support. This rotates each year so each church has the opportunity to put a missionary before the consortium once every five years. If a church’s turn to put a missionary before the consortium arrives and that church does not have a missionary in the pipeline, they are simply skipped over and the next church in line gets the opportunity. The goal of the consortium is to have these five local churches get to know the consortium missionaries very well and be able to support them at at least 75% of their need. This accomplishes several goals: First, when a consortium missionary is home on furlough they will not have to travel around the country visiting their supporters as most of their support is coming from these five local churches – they can stay locally and get more involved at each church during their furlough versus just visiting for a weekend or a conference, Secondly, it allows the missionary to focus less on support raising and more on preparing themselves to get to the field. Currently there are 10 consortium missionaries. Three of these ten consortium missionaries are “home grown” RBCers. $25,900.00 is collectively given in monthly support by the consortium churches to these ten missionaries. 2011 is RBC’s turn to present a missionary. The Missions Committee meets monthly and operates mostly by consensus and discussion. The committee does not use the Roberts Rules of Order (a widely-used set of procedures for deliberative assemblies). The Missions Director develops the agenda and the Financial Secretary, Ray Baldwin, presents the financial report at each meeting. Typically, we have at least one and as many as four missionaries attend each meeting to give a report on their ministry. Only those missionaries who happen to be in our area when a meeting is scheduled attends the meeting to give a report. We typically do not bring in a missionary just to attend a meeting. Periodically, we have an actual vote on an issue. There are three issues that must be decided by an unanimous vote; taking on a new missionary, stopping the support of a missionary and making a change to the Missions Policy. These three decisions must go to the RBC Council of Elders for final approval. WHAT IS THE RBC MISSIONS INTERNSHIP PROGRAM? RBC has had the privilege of sending out numerous people from our congregation over the years to be full-time missionaries. In order for RBC to be the “sending church” for a missionary, that family or individual must attend RBC and go through the RBC Internship Program. This program is designed to help one get from a desire to be a full time missionary to actually getting on the foreign mission field. It is customized to tailor each applicant’s individual place in their walk with the Lord and their desired type of service, such as church planting or support work. The Missions Committee and the Council of Elders must approve all those who enter the Internship Program. Entering the program does not bind the person or the committee to any final decision and it does not guarantee future financial support. Upon successful completion of the Internship Program, the Council of Elders must give their final approval on the person becoming a full-time missionary. Each intern is assigned a personal counselor that walks through the program with them individually, makes periodic reports to the Missions Committee and holds the intern accountable for completion. HOW DOES THE COMMITTEE TAKE ON NEW MISSIONARIES? This is by far the most difficult decision that the Missions Committee makes. When finances are available to take on new missionaries, the Missions Committee reviews a list of missionaries who have expressed interest in being considered for support by RBC. The list is prayerfully reviewed, and the Committee prayerfully picks from the list a family or two (or however many is possible to come for an in person interview with the committee.) Prior to the interview, the missionary must complete RBC’s Service Application. This application is reviewed by all the Committee members prior to the interview. After the in-person interview, the Committee prays for one month to decide whether to support the missionary. Once the committee makes their decision, and if it is a positive one, the Committee’s recommendation for support goes to the Council of Elders for final approval. DOES THE COMMITTEE TARGET CERTAIN PARTS OF THE WORLD OR CERTAIN TYPES OF MINISTRY? Although church planting has always been our highest priority, the answer to the question is no. We trust the Lord to lead us to the ministries and parts of the world He desires RBC to become involved with. Our desire is to “Know Christ and Make Him Known” but after much discussion and experimenting, that is as tight as a box we desire to put ourselves in. WITH THAT AS YOUR STRATEGY, WHERE DO YOU SUPPORT MISSIONARIES AND WHAT TYPE OF MINISTRIES? We support people in every region of the world. The ministries we support include: church planters, evangelists, Bible teachers, missionary children teachers, home and field office administration, computer operators, language translators, tribal workers, pilots, mechanics, member care providers and orphan ministry. Reston Bible Church desires to see solid, biblical, growing churches planted around the world. We define “missions” as a ministry outside the continental United States or a state-side ministry which supports ministries outside the continental United States. We support approximately 220 cross-cultural and national missionaries, many of whom have been raised at RBC. In this short series, Bill Hurley, Director of Missions at RBC, answers frequently-asked questions regarding our missions program. HOW IS THE RBC MISSIONS PROGRAM FUNDED? The Council of Elders at RBC have made Global Missions a budget line item to which they give $128,000.00 per month. Most all of this is committed and given to missionaries in monthly support. RBC currently supports 220 families around the globe. In addition to that budget figure, the program receives all monies designated to specific missionaries and all monies designated to missions in general. The designated gifts are given to the specific designated ministry. The monies given to missions in general are used by the Missions Committee to give to one-time needs of the missionaries RBC support. In the fiscal year August 1, 2009 to August 31, 2010, the Missions Committee was able to give out $50,194.00 in one-time gifts to meet specific needs of our missionaries. The Local Missions budget is also a line item in the budget and most of the budget ($6750.00 per month) is given out each month in monthly support to the 15 various local ministries RBC supports. WHAT IS THE MISSIONS COMMITTEE? RBC has two separate missions committees, the Local Missions committee and the Global Missions committee. The Local Missions Committee oversees those we support who have a ministry within the 48 continental States. These include campus ministries, YoungLife, Sanctity of Life, prison ministry, etc. This committee consists of four people. The Global Missions Committee administers those we support outside the 48 continental States. Some of the people we support are located within the 48 states, but their ministry is global. This committee consists of 15 people currently. I do not recruit committee members. In order to serve in this ministry, the person needs to be led by the Lord. The process to join is simple – they let me know they are interested, I meet with them and I make a recommendation to the Elders and they make the final decision. Both committees, for the most part, operate by a simple majority. On a few very important issues, such as taking on a new missionary, the decision must be unanimous. I chair both committees.